The National Association of Realtors (NAR) Commercial Association (RCA) recently published their Report for the Summer of 2009 focused on green building and the LEED (Leadership in Energy & Environmental Design) green rating system. The Report outlines the national real estate trends involving LEED certified and registered buildings, increased rent premiums associated with LEED certified buildings, and trends within the ranks of real estate professionals for becoming knowledgeable about green building and the LEED Rating Systems. 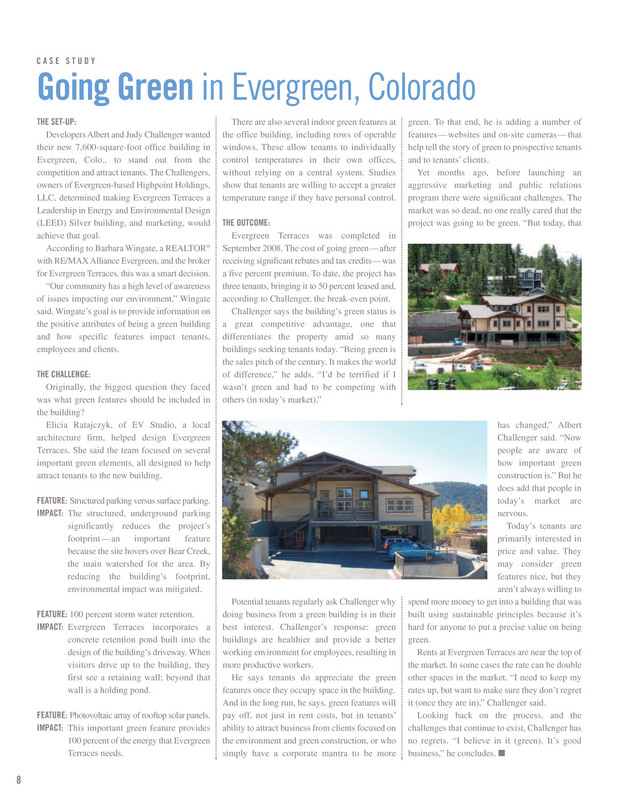 In support of that information, the Evergreen Terraces Office Building located here in Evergreen, Colorado is featured in the report as a case study outlining the marketability and competitive advantages of building a green commercial building. EVstudio designed the building and headed up the sustainable design, research, consultation and CA including documentation & registration of the building under the LEED Rating System for Core & Shell projects. The building is currently still in the process of its LEED certification through the U.S. Green Building Council (USGBC) and is expecting to achieve a Silver Certification. It was a great turnout this morning at the Historic El Rancho restaurant in Evergreen for a series of awards and recognitions bestowed by the Evergreen Rotary International for environmentally conscious work that people in the community are doing. The Evergreen Terraces Office Building was one of the projects recognized for it’s sustainable design and construction. Elicia Ratajczyk, LEED AP also accepted an award on behlf of Cactus Jacks for the work they have been doing to promote green efforts in the community. It was great to see such support from the community’s business leaders for honoring the work that we are doing to promote sustainability in our local communities. While this makes rain (and snow) harvesting allowed only for certain limited cases, it is a huge step forward in Colorado water law, which has been entrenched in staunch resistance to rainwater harvesting. It is clear that sustainable practices are becoming more readily accepted by the general public, and hopefully, in time, more of the limitations can be removed and the practices can be legalized for all property owners. 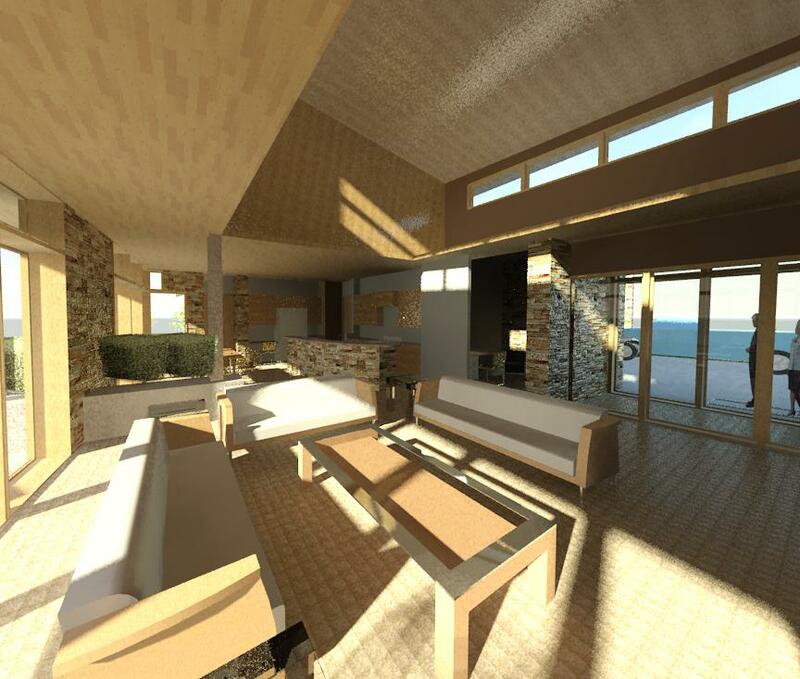 The Mountain Modern Residence is a proposed speculative residence designed for Tomskin and demonstrating EVstudio’s full understanding of green systems, design and technologies. It is a prototype design that the client wishes to reproduce at a normal market price point. The client is currently looking for the first piece of vacant land. In order to reach the sustainability goals we created a list of core sustainable concepts that the design fulfills. The Evergreen Terraces Open House is this Evening from 4-7. 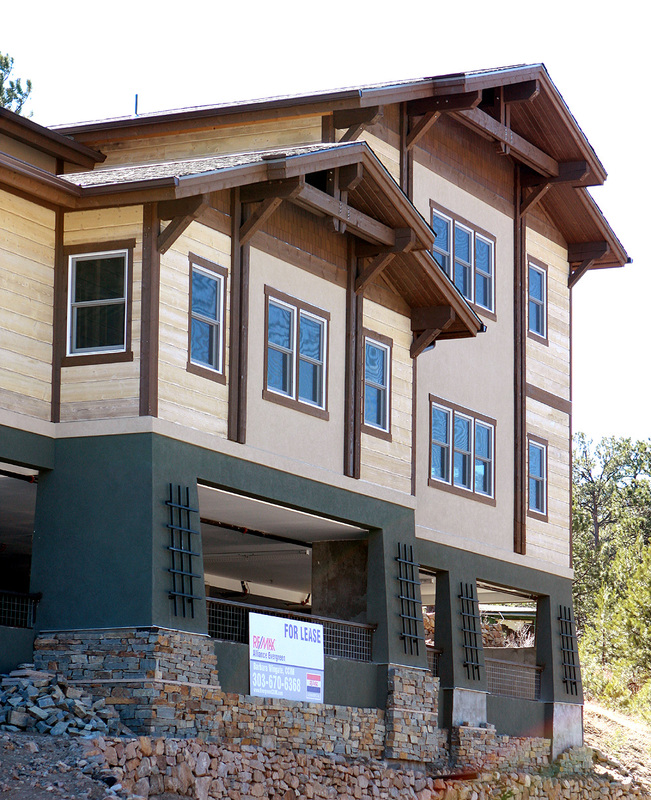 It is open to the public and we’d really enjoy showing you the first LEED building in Evergreen. There were $17 billion in energy tax incentives enacted last October that were largely associated with solar equipment for electricity and hot water. Congress also extended a credit for installing energy efficient windows and skylights. There are also now tax credits for home wind power, geothermal systems and more, creating a strong incentive to move forward with your next big project. In 2008, there was a $2,000 cap on the installation of solar equipment for the home. For 2009, that cap is removed and now homeowners can claim up to 30% of the installation cost as a tax credit (not a deduction, but a dollar-for-dollar credit). Bear in mind that there are also state credits available, so check out http://www.dsireusa.org for a state-by-state listing of these available credits. The federal credit may apply only after deduction of state credits, so be aware and make sure to have your accountant file all applicable forms. Congress has also added a new tax credit of up to $4,000 for home wind power systems and a $2,000 credit for new geothermal heating systems. As of 2006, congress had brought back a law allowing a $500 per filer lifetime credit for energy efficient home improvements. This can be anything from upgraded insulation to improved doors and windows (but be aware that windows alone are limited to a $200 cap). So, there is indeed good news for those of you embarking on new projects. I encourage anyone starting a new construction or remodel home improvement project to look into these programs and have your CPA involved early on so you can quantify how much you may get back at the end of the year for doing things you may very well already have been planning on doing. As architects, it is ever important to keep an eye on these constantly evolving programs as well. 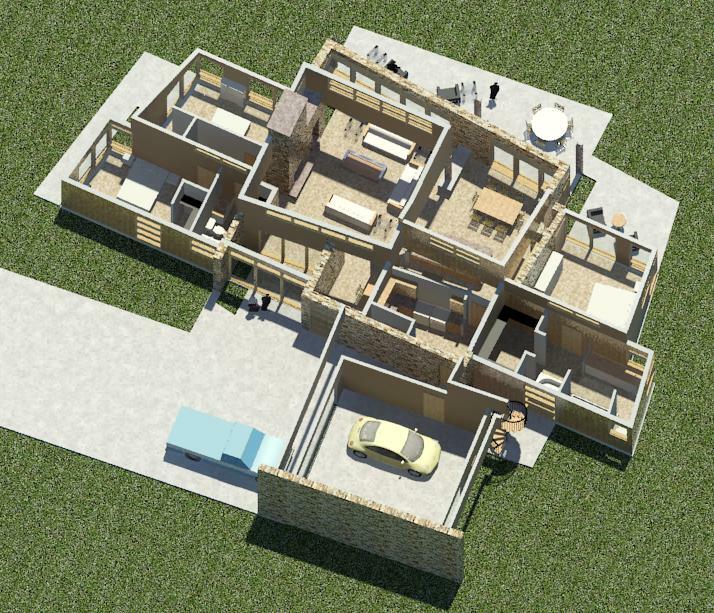 We can help to practically integrate these systems into the design of any project. There are similar incentives for commercial projects as well. If you are thinking about starting a new project, give us a call and let’s see what may be available for you.